It is the latest neurotoxin on the market FDA approved for injection to treat moderate to severe frown lines aka the glabella region. It received FDA stamp of approval in February 2019 and will be available in offices in the next few weeks. 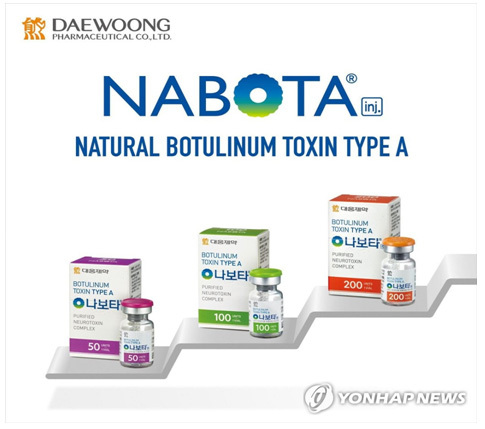 It is produced in South Korea under the name Nabota® and has been used for various muscle disorders with great success and efficacy and now it made an entry into the US market under the name JEUVEAU. How long does it take after JEUVEAU administration to show results? It is a neuromodulator aka a muscle relaxant, it takes up to 14 days after the initial injection to achieve full response/relaxation. How long does JEUVEAU injection procedure take? It is a fairly simple and quick procedure in the hands of an expert. No numbing or other special patient preparation required. It involves injection using a very small needle into the muscle groups, which takes about 1 minute. 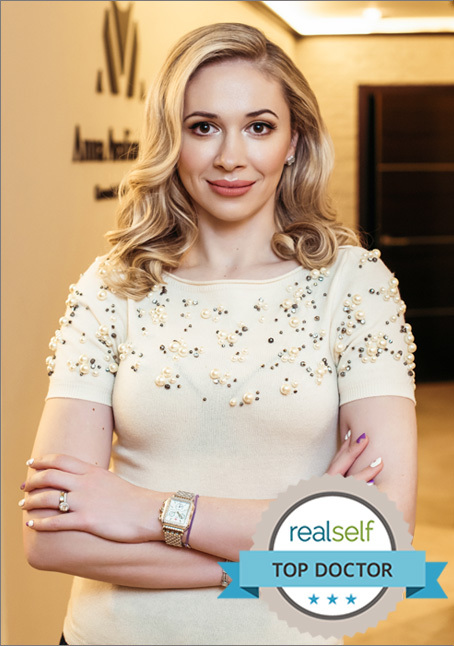 Dr.Avaliani uses the smallest and thinnest needles on the market to ensure highest patient comfort. She also is utilizing her vein finder tool, to minimize any chance of bruising. How long does JEUVEAU results last? What is the difference between JEUVEAU® and Nabota®? JEUVEAU is FDA approved for US market administration and Nabota is approved in South Korea. It is manufactured by the same company and different names are simply for the marketing purposes and different packaging. They are both same medication made from prabotulinumtoxinA-xvfs tonin strain. What is the difference between JEUVEAU and Botox? They are essentially the same class of medications, under a class of neurotoxins. They both produced from Toxin type A and administered by an injection with similar efficacy and duration intervals. They are just like Coke and Pepsi. Some people don’t care. Others, feel the taste difference. What is the difference between JEUVEAU and Dysport? The difference is in the name of the toxin and the dosage administered, but for a patient, the efficacy is essentially the same. Patient should try both and determine if they have preference and if they notice any difference in the effect and well as the duration of the product. What is the difference between JEUVEAU and Xeomin? These medications are made by different companies, they use different bacteria strains but both use Type A Toxin. They both require an injection for preparation and safety and efficacy is very similar. What is the difference between JEUVEAU and Myobloc? They belong to the same class of drugs, but they have very different characteristics. JEUVEAU is type A toxin, while Myobloc is Type B toxin. Their dosage units are different and cannot be interchanged, 20 units of JEUVEAU is almost like 2500 units of MyoBloc. Please leave it up to your healthcare professional to determine your optimal dosing. What are the most common side effects with JEUVEAU administration? Redness, tenderness at the injection site, bumps, bruising are all common and very mild side effects reported immediately after the injection. What are contraindication to receiving JEUVEAU injections? Having a history of severe allergic reaction to any or all of the other neurotoxins on the market, including Botox, Dysport, Xeomin and potentially Myobloc. You must discuss this with your health care provider prior to receiving your treatment injection. To receive your expert consultation with Dr.Avaliani to determine whether JEUVEAU is right for you, please call 212-673-8888 .